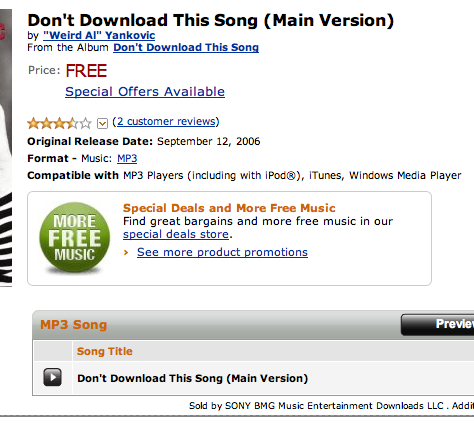 Yeah, that's Weird Al's song about downloading free music illegally. Nicely done Amazon. :-) Head over to the download page if you want a copy.